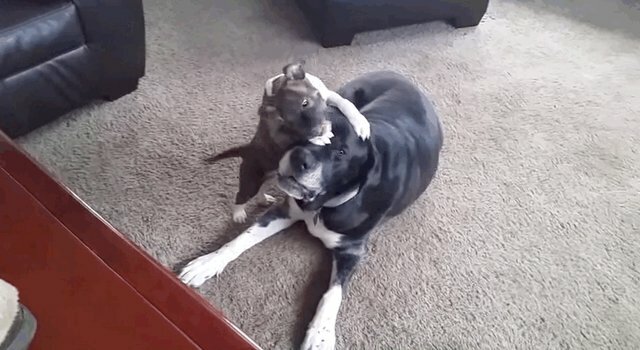 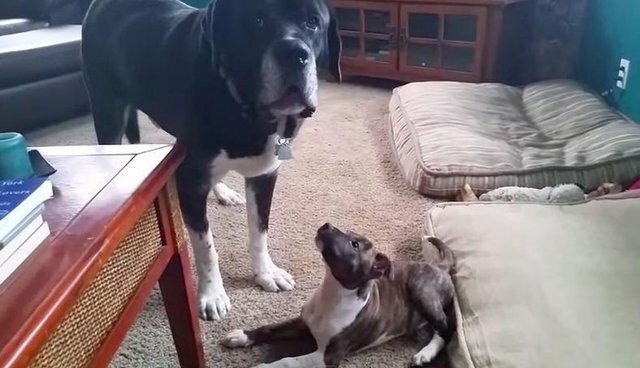 Seamus the Brazilian mastiff may look like a tough guy, but he's a big ol' softie when it comes to putting up with his little puppy Izzy, an 11-week-old pit bull. 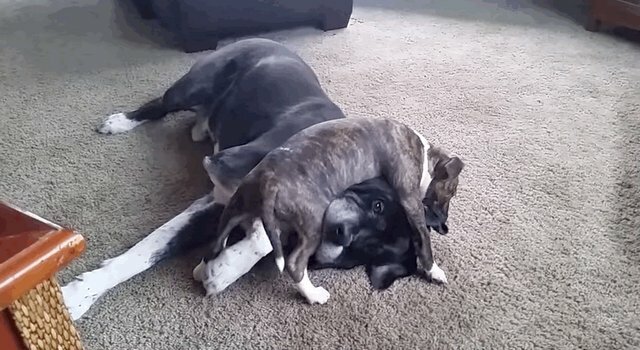 He patiently lets Izzy climb on his face. 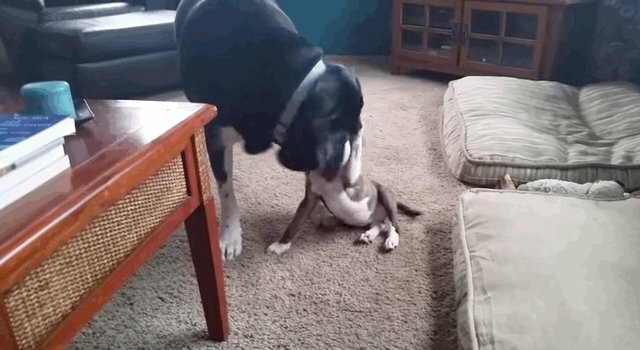 He even returns some kisses.